Are you experiencing a frizzy helmet above your head? Do tiny pieces of frizz creep up into your neck and around your forehead? Is your curl pattern feeling out of control? 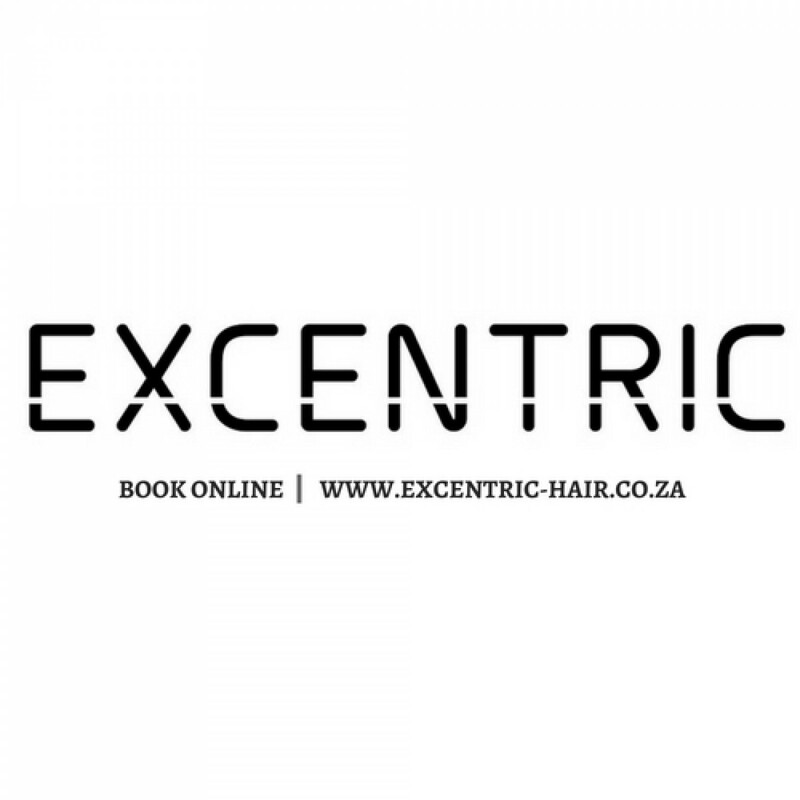 Are your roots feeling a bit thick and making your hair totally unmanageable? Are you taking ages to get ready in the morning? If you nodded your head to any of the above then THIS TREATMENT IS FOR YOU! 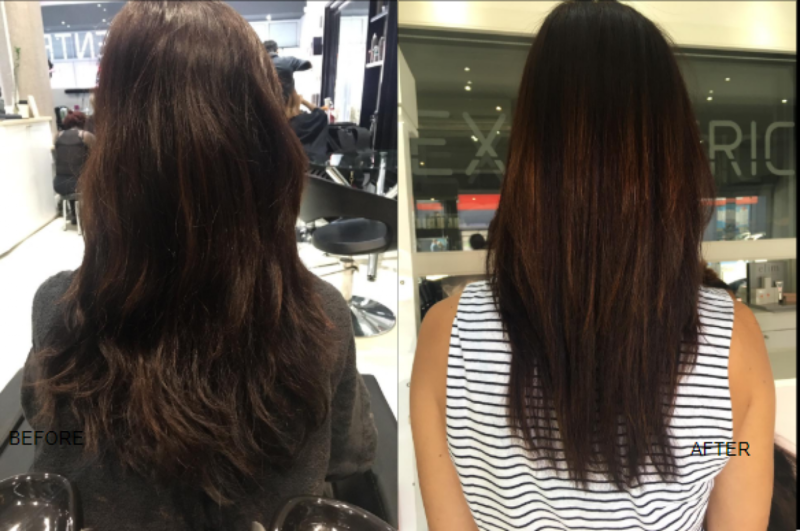 What is the Evolution Keratin Smoothing Treatment? Evolution Keratin is the only Hair Smoothing Therapy Line infused with natural argan oil, vitamins and proteins activated by dual performance formulas with exclusive technology for greater keratin absorption. 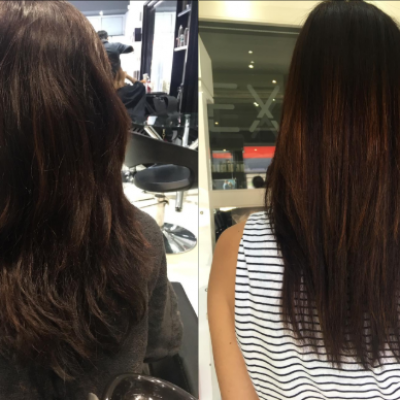 This pioneering Hair Smoothing Therapy Line restores damaged and chemically treated hair to its natural state.The key ingredient of this treatment is Keratin, the primary protein of skin, hair and nails. 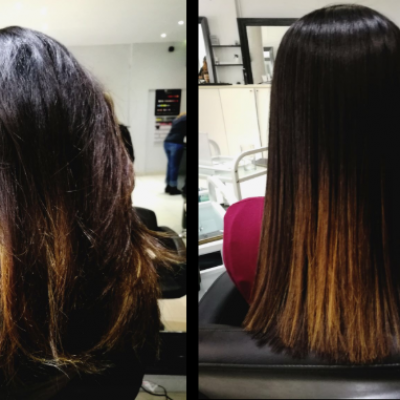 Keratin, which comprises approximately 88% of your hair, is a natural substance that gives hair the ability to return to its original healthy, shiny, smooth and conditioned state. The treatment eliminates frizz, calms your curl pattern but does not straighten it which is great as it allows you to wear it both ways, natural or straightened, promotes healthy hair growth and slashes your normal drying time in half, leaving you with more time for yourself because you deserve it. On the day of the treatment your hair will feel hydrated, smooth and straight. The day when you wash your hair for the first time after your initial treatment is one of the best feelings in the world. 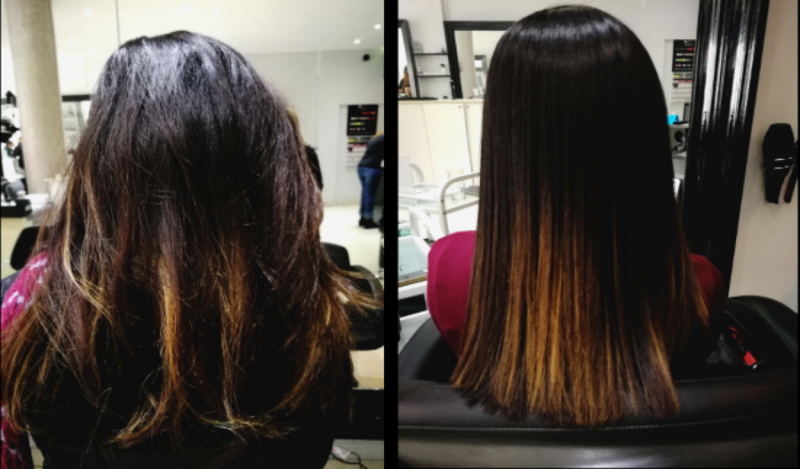 Instantly you will be able to see the difference with your eliminated frizz, calmed curl pattern, smoothness, radiating shine and how easy you could just roughly dry your hair. Click here to book your Evolution Keratin Smoothing treatment with FREE Ladies cut and save R400 - R450.